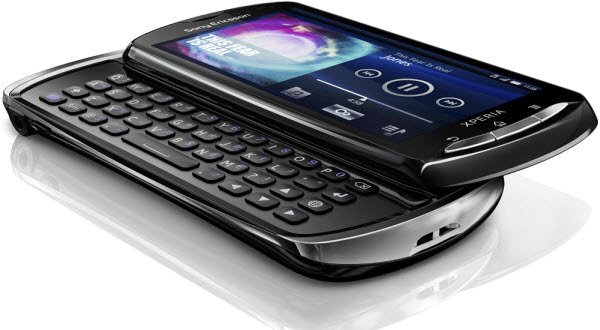 Sony Ericsson has recently added a new member to its Xperia family, the Xperia Pro. This handset comes with a slide-out QWERTY keyboard, 8 megapixel camera with LED flash, HD (720p) video recording, 2 megapixel front facing camera and more. Xperia Pro is powered by the Android 2.3 (Gingerbread) operating system and it runs on a 1 GHz Qualcomm Snapdragon processor. The Xperia Pro allows you to access more than 200,000 apps from the Android Market. Check out the complete specs below. Sony Ericsson Xperia Pro will be available in 3 vibrant colors – Black, Silver and Red. The price and release date of this handset is not announced yet. Stay tuned for more updates. You can also follow me on Twitter @0mkarr for latest MWC updates.